As we’re moving towards a ‘New Year, New You’ type of season, I want to show you a brand new concept in skincare – personalized, Ayurvedic Skincare by Samaya. Ayurveda is the traditional Hindu system of medicine. It’s based on the idea of balance in bodily systems and uses diet, herbal treatment and yogic breathing. In Ayurveda there are three main body types also known as doshas: Vata, Pitta, and Kapha. 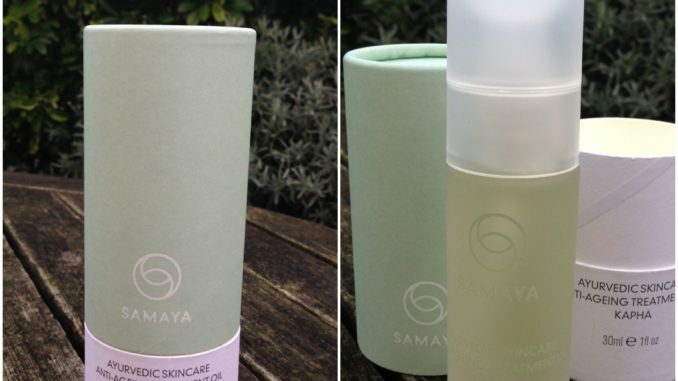 So before you can use the Samaya products, you need to work out which dosha applies to you. Laidback and easy-going with a stable, steady energy level. Often has a strong physical frame but can be lethargic or apathetic if out of balance. Takes a relaxed, reasonable approach to life and can be compassionate, gentle and kind. Skin is usually thick and pale, can be radiant and glowing, but with clogged pores or excess oil when out-of-balance. So I’m calm with a tendency to laziness and a face as pale and glowing as the moon. Yep, sounds about right. I quite like the personalization aspect to this brand. It makes buying it more of an experience and forces you to sit down and think about yourself in a deeper way right from the start. This facial oil is a concentrated blend of Ayurvedic botanicals and clinically proven active anti-ageing ingredients. So it’s a little bit ancient and a little bit modern at the same time. The texture is a mid-weight oil, so it’s not as light at the Dermalogica Phyto Replenish oil we looked at recently. But it is great for winter when your skin might be a bit battered by the elements and in need of some extra help. with Sandalwood as the most prominent note. It’s suitable for all skin types, though I think dryer skins and the over 40s will probably get the most out of it.Price-wise this is definitely a luxe range, with the RRP for this 30ml facial oil at £79. This puts it in the same bracket as Dermalogica, although that is a more scientific brand. Everything about this avurvedic skincare range says balance and calm, from the packaging to the product. It’s all about bringing mind and body together as you take a few moments to massage in the oil and contemplate the day ahead. 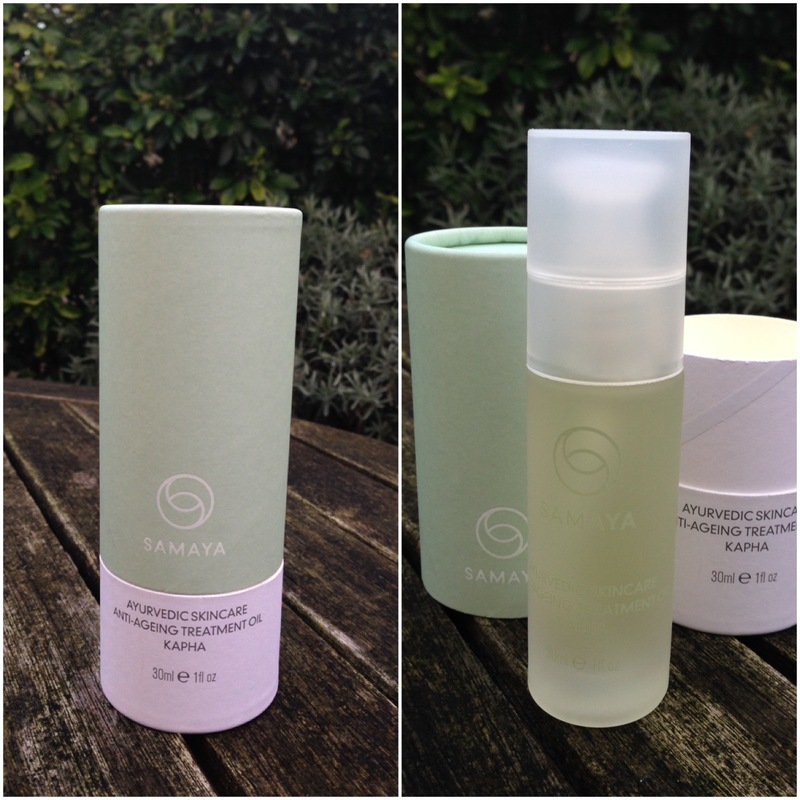 The Samaya range of Ayurvedic Skincare is available via their website here. The tool to discover your dosha is here.